Seeing your people achieve a major goal by focussing their passion, energy and resolve is one of the most rewarding experiences a leader can have. This is what happened as I witnessed State Trustees’ teams working together to win a major case in the Victorian County Court. Our efforts helped a client who had found himself vulnerable and exposed, taken advantage of and isolated after an attorney administering his estate – a family member – misappropriated funds. The court ordered nearly $200,000 to be repaid to our client’s estate to safeguard his livelihood is not just a great outcome; it’s an unbeatable point of evidence that demonstrates what State Trustees can and does achieve. At moments like these it’s appropriate to commend our efforts across the organisation, and use this to help understand the true purpose behind what we do every day. In this case, we must recognise that misappropriation is a significant but silent issue. Equally, we should recognise that State Trustees must lead the way in ensuring people protect their money, assets and loved ones in the event they can no longer do so themselves. This is an insidious and tangible social ill, where somebody’s financial attorney, carer, friend or even family takes funds and assets for their own use, taking advantage of a trusting dependent of their livelihood. Even in cases where we can prove that someone has taken funds or assets without lawful consent, often there is no way recoup lost funds. Because of this, we need to look at this win not just as an example of remedying a case of misappropriation, but a reminder that we need less wins in the courtroom, and more in the financial planning and legal affairs landscape, protecting people before they become victims. That’s why we need to use this win to urge us on to more successes, particularly in convincing Victorians to not only use an Enduring Power of Attorney agreement to appoint someone to manage their affairs in the event they can’t do so themselves, but also to choose the right person to manage those affairs; somebody they can be sure would never take advantage of them. This particular success should be a powerful motivator for all of us; but it should also provide a signal that we should be working to minimise the possibility of such instances occurring, let alone finding their way to the courts. 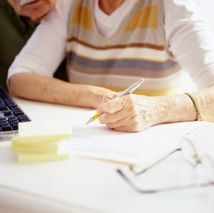 Want to find out more about preparing an Enduring Power of Attorney, the different types and how to organise yours? Visit our EPA page for helpful information.